Fluid Chalk Inks share the resilience of pigment ink, but stamp and blend like dye ink, drying quickly on absorbant surfaces. Permanent when heat set, they resist smearing, bleeding, or fading even when air dried. These blended inks offer the dense, matte luster of chalk pastels in a fast-drying archival ink. ColorBox Fluid Chalk is ideal for card making, scrapbooking, and other crafts projects. 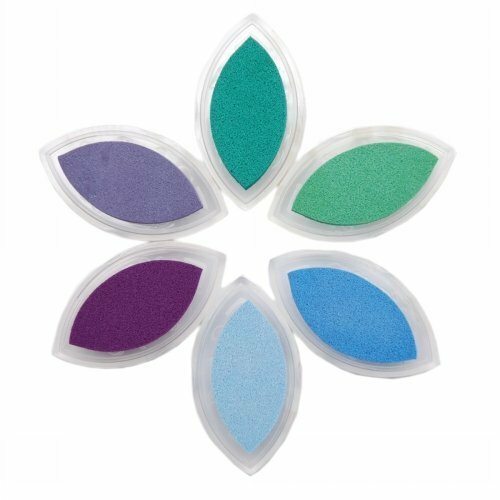 Achieve fabulous effects on paper, foil, clay, vellum, shrink plastic, and more.ColorBox Fluid Chalk Queue is clearly the way to have inkpad fun - they include 6 colors stacked in themed hues and ready to go wherever you want them to. Use them on cards, pages, and other crafting projects. Turn your Cat?s Eye inkpads into instant paintbrushes with the Cat?s Eye Adapter Set. Measurements: 1" x 2" x 3/4". Available in a variety of colors, each sold separately. 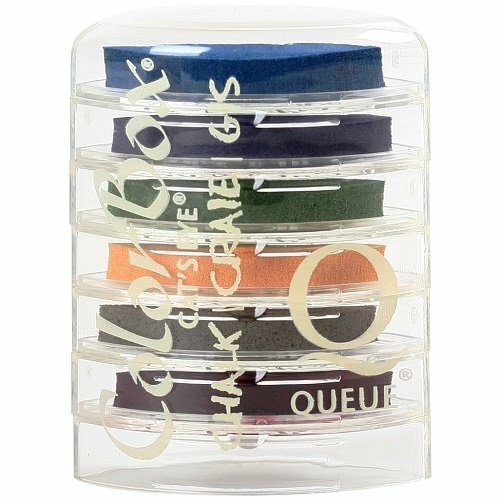 ColorBox Cat's Eye Queue Pigment Inkpads: 6/Pkg. This chalk ink comes in a premium dye ink pad with new skin-foam technology. Includes six nested inkpads in six different colors. Each individual pad measures 1x2x3/4 inches. Non-toxic (conforms to ASTM D 4236). 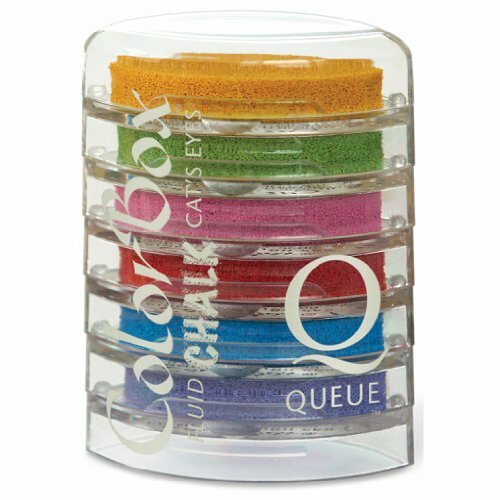 Colorbox queue is a color coordinated stack of six cat’s eye inkpads. Inkpads separate for individual use and then snap together for easy storage. 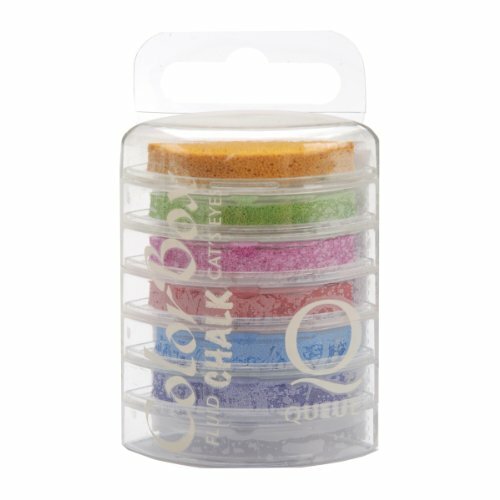 The colorbox queue is a wonderful gift for your favorite crafter or a great treat for yourself. The pointed ends of this small, raised inkpad are perfect for precise inking, while the flat, rounded middle is ideal for broad strokes of color. Colorbox chalk ink dries to a chalk-like matte finish but can be buffed to a shiny finish. Ink is fast drying on most surfaces including paper, foil, clay and more. Colorbox chalk ink is waterproof when heat set, making it perfect for use with other water-based craft products or techniques. 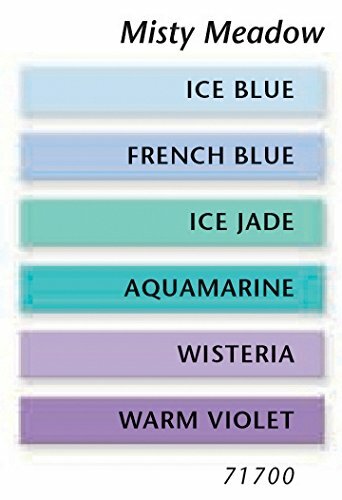 Colors in misty meadow queue are ice blue, french blue, ice jade, aquamarine, wisteria and warm violet. Chalk ink comes in a premium dye ink pad with new skin-foam technology. Includes 6 nested inkpads in 6 different colors. Non-toxic and Conforms to ASTM D 4236. Size is 2 x 2.5 inches. ColorBox Fluid Chalk Cat's Eye Queue Inkpad 6/Pkg-Primary Elements CLEARSNAP-ColorBox Cat's Eye Queue Pigment Inkpads: 6/Pkg. This chalk ink comes in a premium dye ink pad with new skin-foam technology. Includes six nested inkpads in six different colors. Non-toxic (conforms to ASTM D 4236). Measurements: 1x2x3/4in. Made in USA. Looking for more Colorbox Cats Eye Queue Chalk similar ideas? Try to explore these searches: 8' Cord Set, Stainless Steel Torch, and Roman General Helmet.